From starting out in the Fremantle markets to a beautiful studio in North Fremantle, Natalie Rolt is a household name. The unique studio combines stunning made to order garments, beautiful hire pieces, spray tans, makeup, hair and lashes. Making it a ‘one stop shop’. 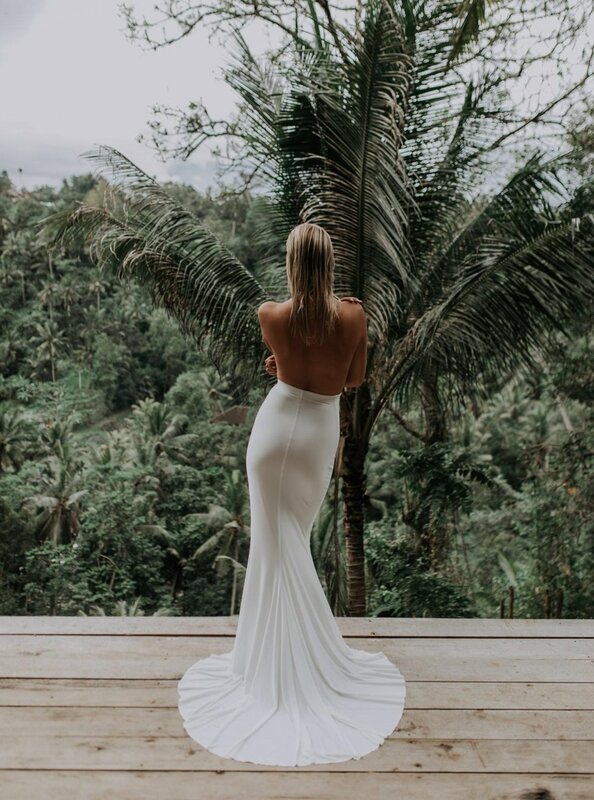 Natalie Rolt is a destination that can assist you from head-to-toe with their style consultants available to offer their recommendations of sizing, design selection as well as styling tips and tricks. "The studio itself is a stunning light and bright open space that screams ‘Instagram me’." Customers are able to try on all the current designs and hire collection in addition to viewing the wide range of colours and fabrics for selection. You may catch a glimpse of the production room in action - as all of their garments are made on site! I was luckily enough to get the chance to interview Natalie about all things Natalie Rolt. Where did the inspiration come from for the new base range collection? We are constantly pairing our more ‘formal’ items with relaxed pieces so that they are more versatile, this sparked us to make our own version of ‘basic’ pieces that still hold a relaxed luxury on their own, so I guess the inspiration came from myself and my team how we style our pieces and the functionality in our everyday lives. From the looks of your Instagram the studio is constantly busy how do you manage to schedule everything in? Organisation, Planning, Scheduling and Communication are all key! We are a collaborative studio so there are various businesses running under the Natalie Rolt banner. One helpful tool, is the “I-Calander” which keeps us all linked and aware of each other’s schedules and what’s on, we also have weekly meetings. I’m lucky that we are a really close knit team who support each other in all the events we do! Natalie Rolt is a one stop shop for custom made garments, hair, makeup, tans, jewellery and eyelashes can you tell me more about this and the people involved? We love creating a hub for women alike to come in and experience all we have to offer! We currently have our Beauty Specialist Whitney Andrews who is our in-house Make-up Artist also offering tans and eyelash services. Jammie-Lee our in-house Hair Stylist covers everything from colour and cut to styling. We are the only company in Perth that has a collaborative space in which all the garments are made right here! We can’t wait to keep growing in other areas, stay tuned! You recently did some amazing photo shoots in Bali what sort of preparation is involved for an international shoot like that? You can only plan and prepare some things to a certain degree, sometimes you just need to dive in head first and trust your instincts. Be a bit spontaneous and watch the magic happen. 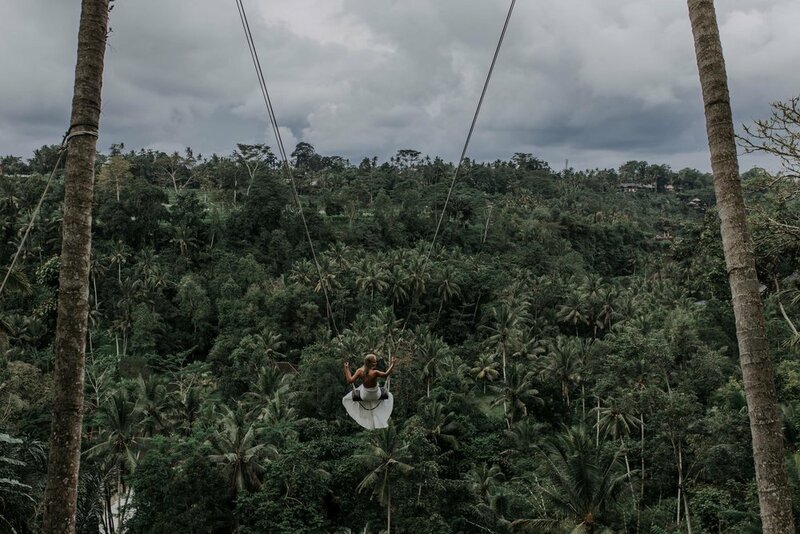 This is essentially what happened with our quick Bali trip, the opportunity arises, the stars aligned and you just have to jump on board and we knew it was the right thing to do when we started shooting, the outcome was amazing! What do you see in the future for Natalie Rolt? As long as we are always moving onwards and upwards, the sky is the limit. Keep watching!